The holidays are meant to be shared with friends and family. Walt Disney is the mind behind the dozens of family-friendly Disney attractions you see today, from theme parks to resorts. In honor of his 112th birthday Dec. 5, what better time to go on a Disney-themed adventure than right now? Plus, remember when you thought your kids would just forget about Disneyland after a while? Yeah ... well, that didn't happen. It's time to let the little ones get it out of their system. Here's a look at the top Disney destinations to celebrate Walt Disney's birthday. There are four Disneyland theme parks in the world, located in Anaheim, Tokyo, Paris and Hong Kong. A fifth in Shanghai is expected to be completed by the end of 2015. The original in Anaheim—opened in 1955—was the only theme park designed and constructed under the supervision of Walt Disney himself. It comes complete with eight signature worlds, as well as the 2001 addition Disney California Adventure. The parks in Tokyo, Paris and Hong Kong—each maintaining the original site's theme—were opened in 1983, 1992 and 2005, respectively. As the first theme park that opened under Disney, Disneyland has become synonymous with Walt Disney's name, more than 45 years after his passing. Located in Florida, Walt Disney World was the second theme park opened under Disney's name. Whether you are enjoying Magic Kingdom, Epcot, Hollywood Studios or Animal Kingdom, there's fun for the whole family. Six different worlds make up Magic Kingdom, from Adventureland to Tomorrowland. Epcot highlights technological inventions and the cultures of 11 different countries. Hollywood Studios gives those in Florida a taste of Hollywood's history and lifestyle. And Animal Kingdom wraps it all up with more than 1,700 animals spanning 250 species. You could do a whole lot worse than a resort in Hawaii. Aulani, located in Ko Olina, may be on the pricey side, but we've seen the resort firsthand and can tell you it's worth every penny. Established in 2011, the resort offers a wide range of rooms and villas, as well as beachside dining, a buffet eatery, two lounges and shacks and cafes to stop by. A spa, health and fitness club, salon and hydrotherapy garden are also available on site, not to mention accommodations for beach activities and water sports, several pool areas, and shows and entertainment. 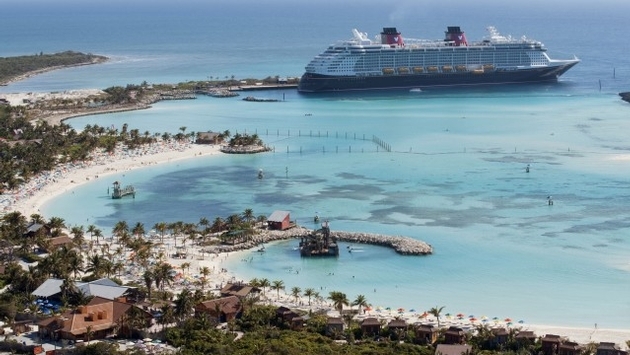 Of course, you can't forget about Disney's private island in the Bahamas, dubbed Castaway Cay. For those of you who would like to go on a cruise to a tropical paradise (that means all of you), why not check out the Disney Cruise Line? Castaway Cay features 20 premium 325-square-foot cabanas, Castaway Family Beach, water play areas, water sports, barbecue dining, and teen-only and adult-only areas. If you would rather hang out in the shade during a hot day, activities such as pool and basketball are provided for in cool, breezy settings. But watch out for that pool shark. Check out the interactive map above for an in-depth look at Castaway Cay. Lauded throughout the world by musicians and guests alike, the Walt Disney Concert Hall celebrated its 10th anniversary this year. Lillian Disney spring-boarded the process of building the hall in 1987 with a $50 million donation, but it took other Disneys such as Diane Disney Miller to guide it to its eventual opening in 2003. The venue is known as much for its architecture as its acoustics, seating over 2,200 people within a uniquely-designed blueprint. It houses the Los Angeles Philharmonic and Los Angeles Master Chorale, as well as celebrity chef Joachim Splichal's fine dining restaurant Patina. Since its inception, the Walt Disney Concert Hall has been featured in numerous movies, television shows and video games.